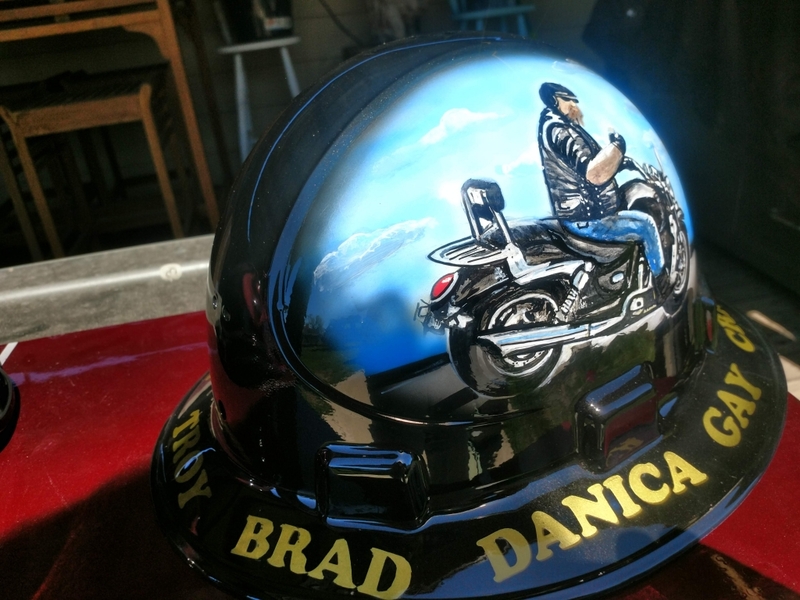 Custom painted works of art for your head! 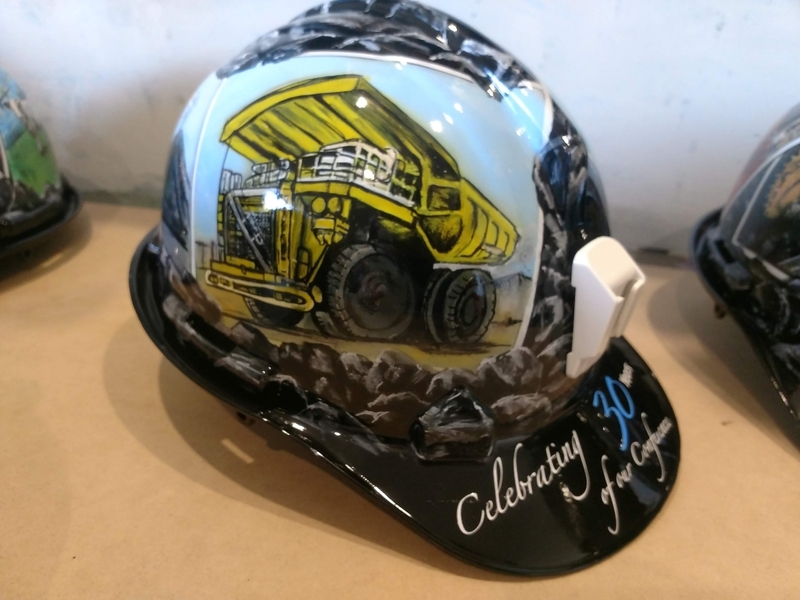 Give them as gifts or wear them to work! 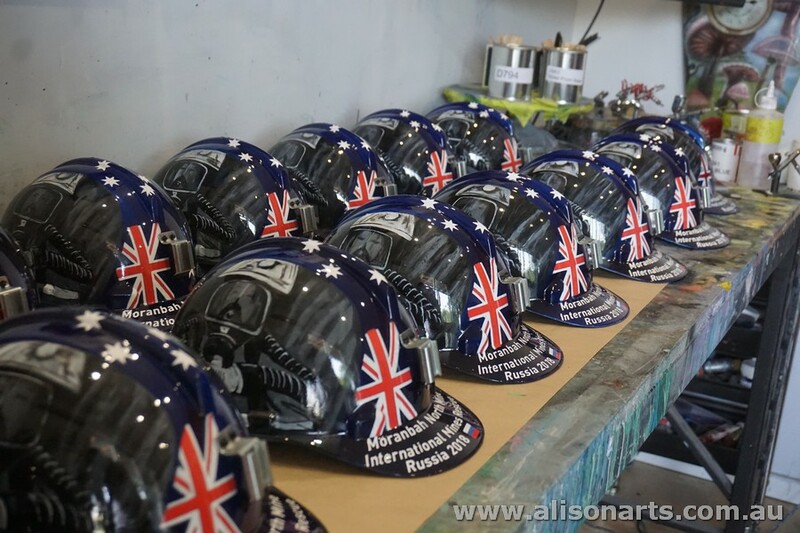 Custom hard hats are perfect for competitions and events. 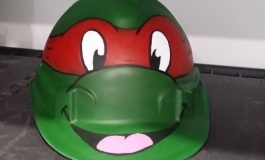 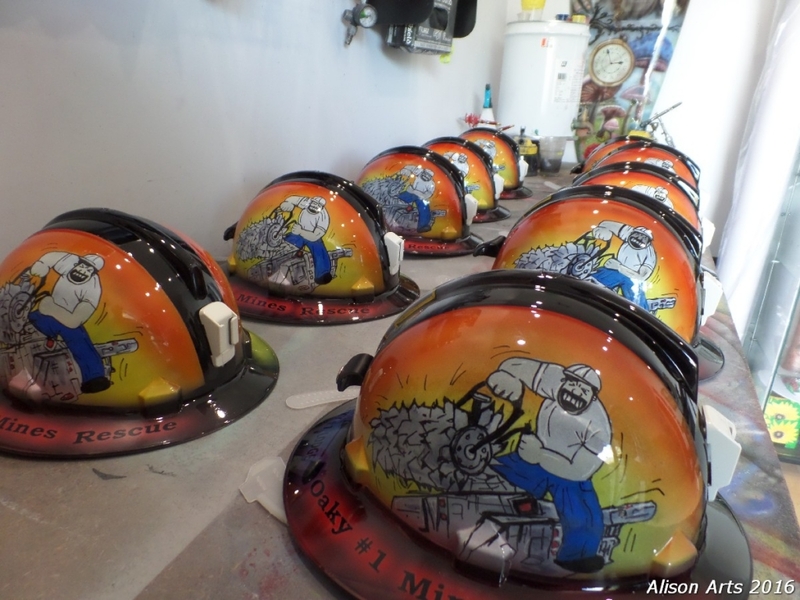 Every custom painted hard hat is hand-painted by an artist and is an original work of art. 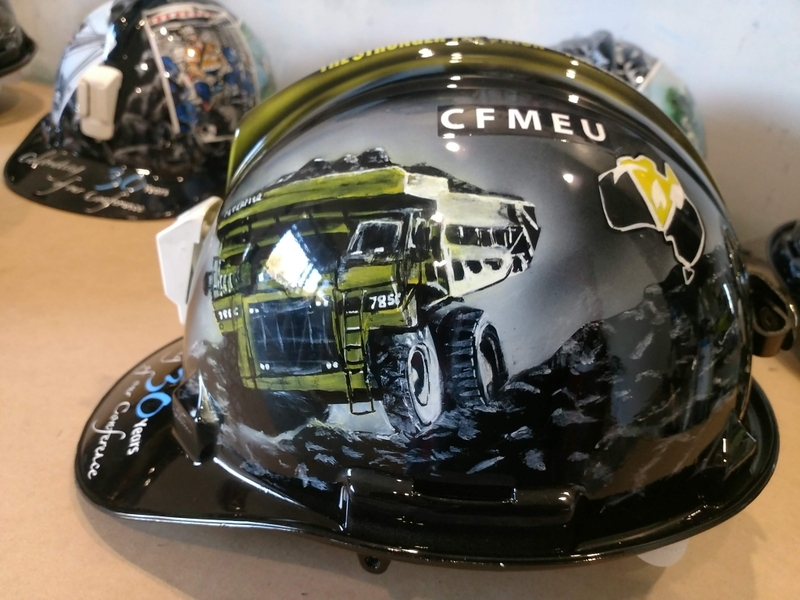 No boring stickers or repeat printed patterns and the design is only limited by your imagination. 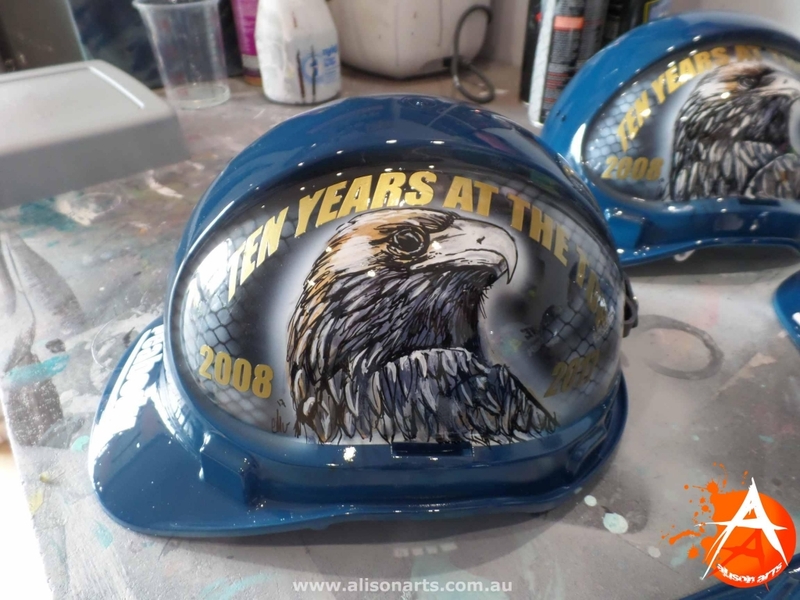 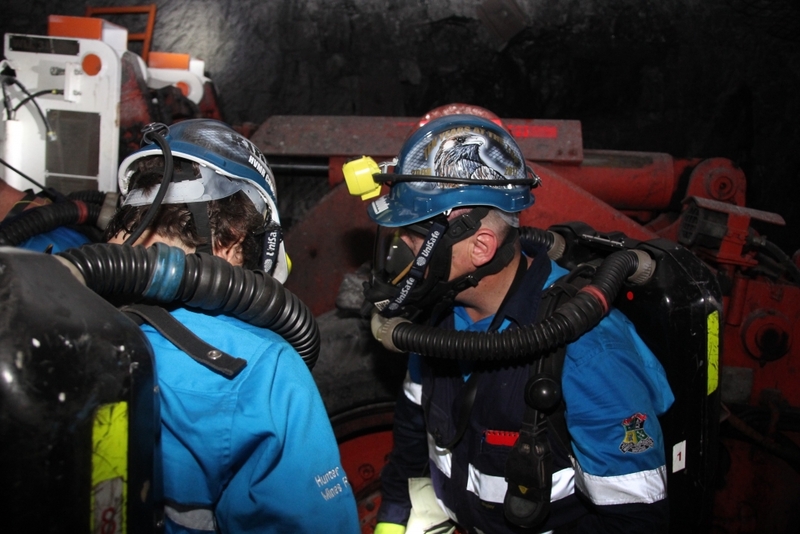 We have airbrushed a large number of hard hats over the years from scaffolders to mining CEO’s. 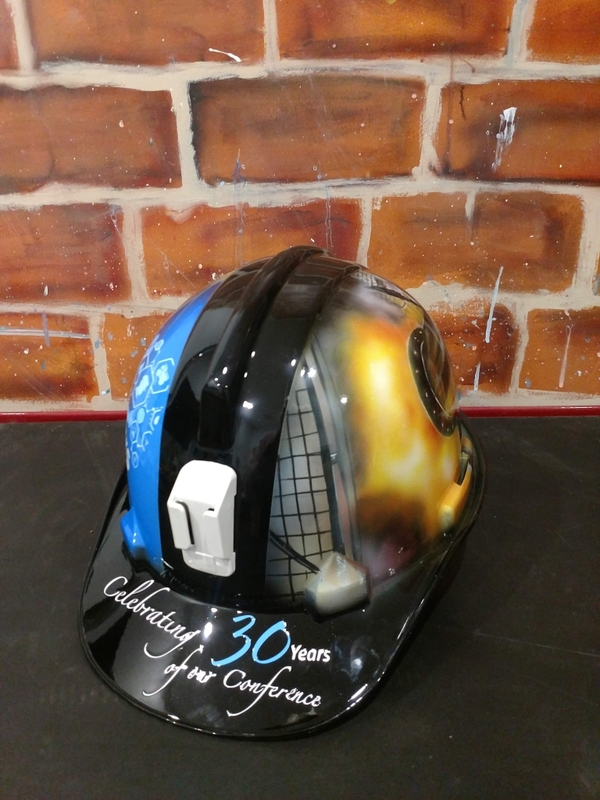 We have also painted hard hats for the Mining health and safety conference held each year on the gold coast in Queensland. 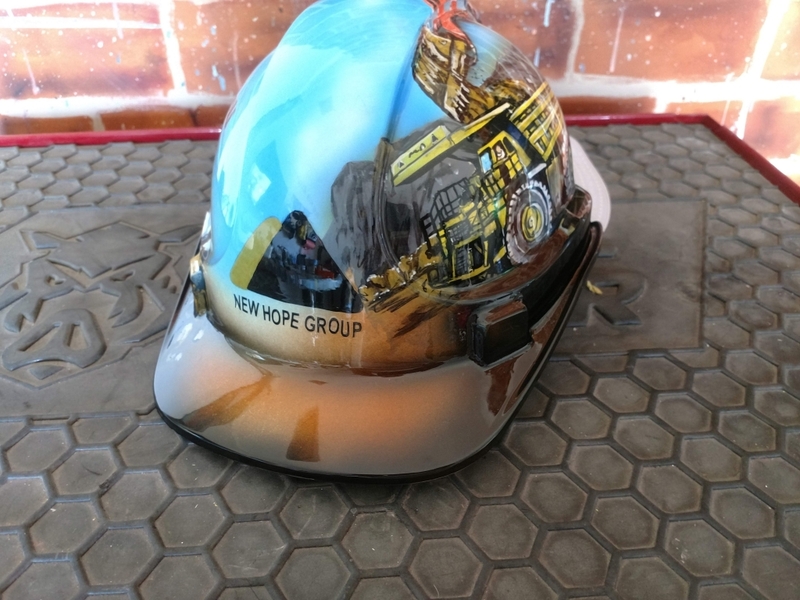 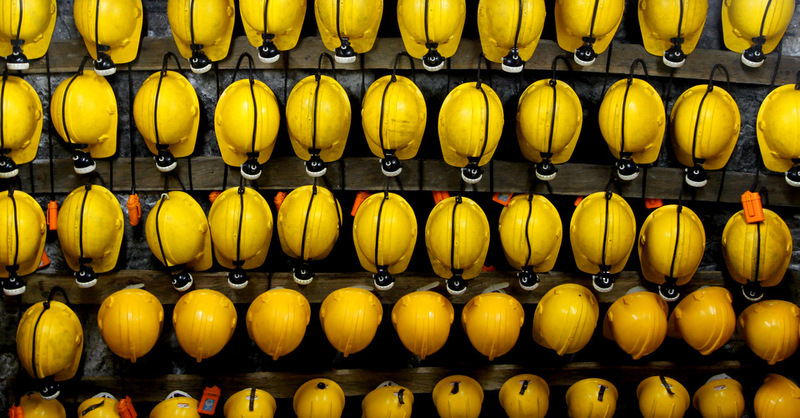 Custom hard hats can make an awesome retirement gift, keepsake or employee reward. 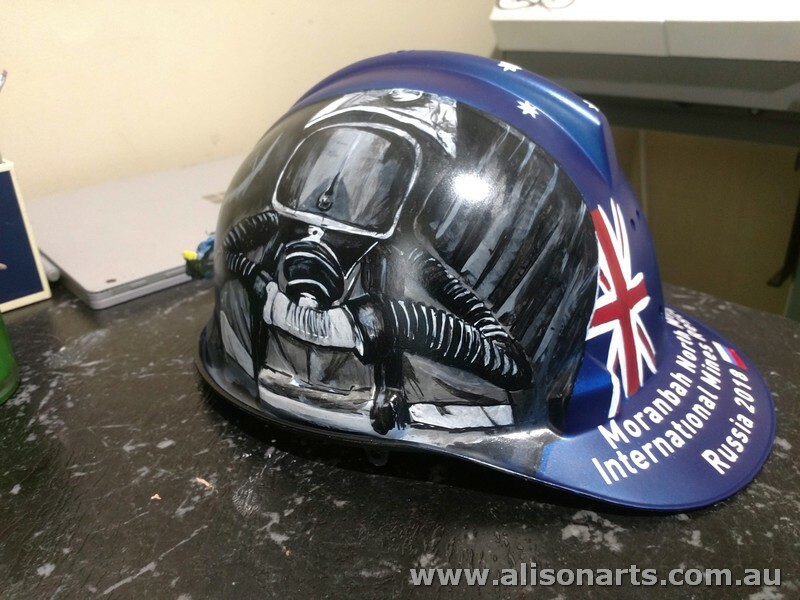 Click the button below to open the gallery and view some examples of our recently painted hard hats. 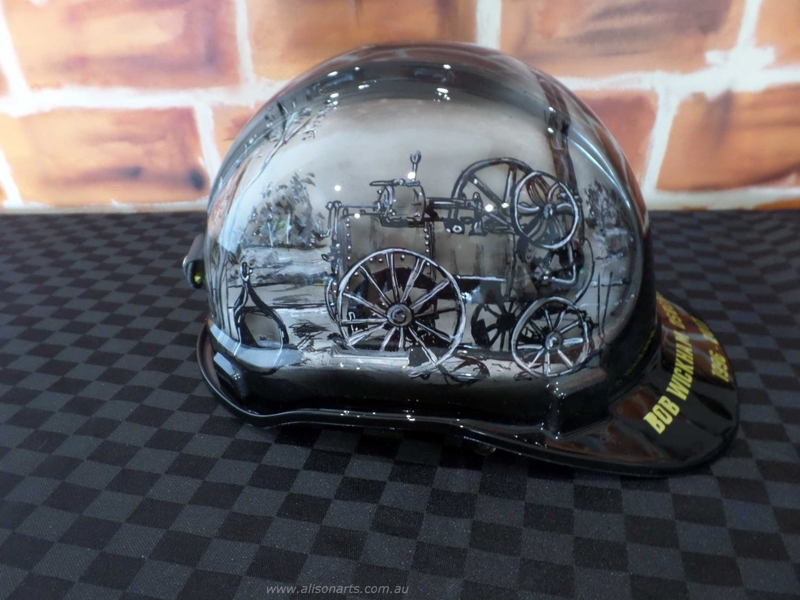 We will provide the hard hat and we will organise safe courier delivery. 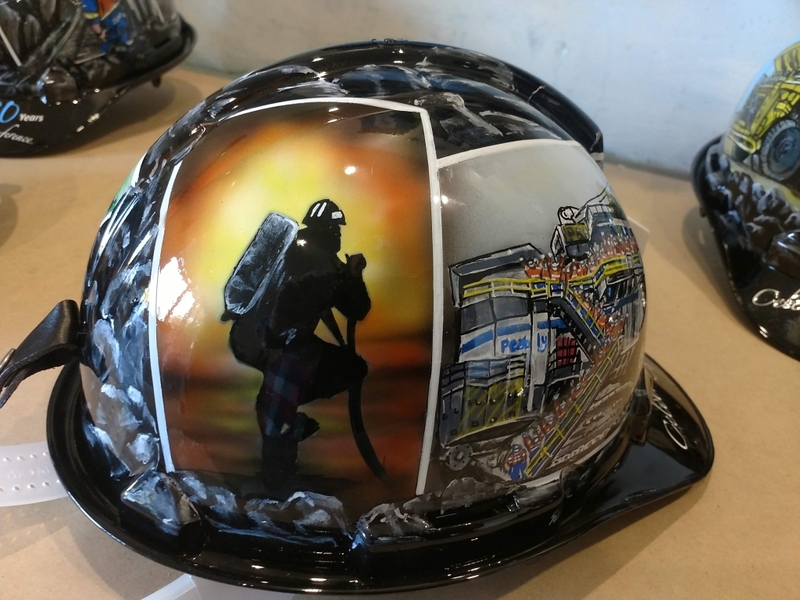 Two pack clear coat protects the artwork and makes the hard hat super tough for any use. 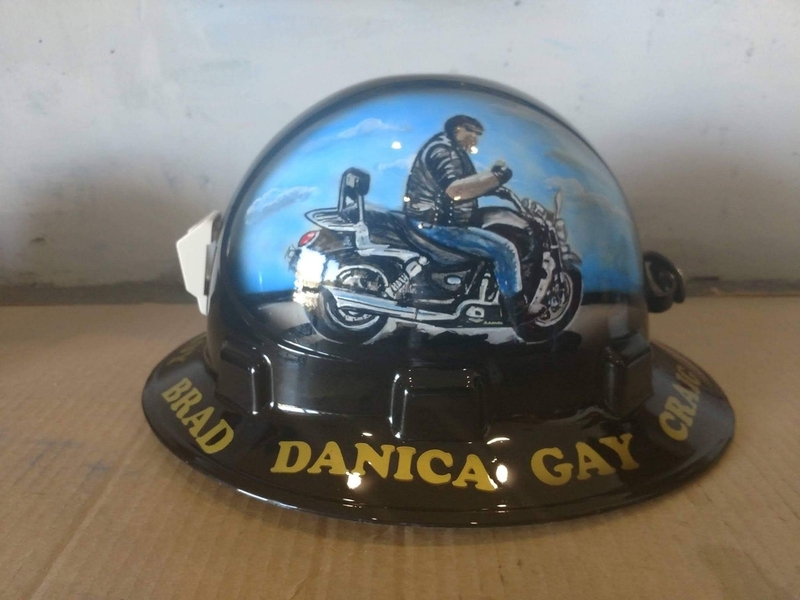 All our custom hard hats come boxed and presented in a signature bag.